This brand new video tutorial leads new users through the very basics of G-Stomper Producer. If you don’t have the time to watch the Video Tutorial, you can also check out the Quick Start Guide chapter in the User Manual. 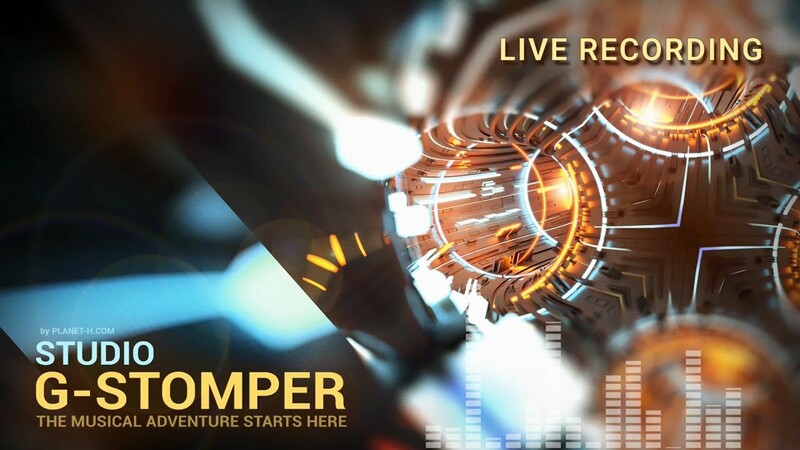 This brand new video tutorial explains everything around Live Recording in G-Stomper Studio and related applications. Learn how to record Sequences (beats and melodies) in real-time. If you don’t have the time to watch the Video Tutorial, you can also check out the Live Recording chapter in the User Manual. This brand new video tutorial explains everything around Parameter Automation in G-Stomper Studio and related applications. Learn how to record or generate Automation curves, how to clear, initialize or randomize existing curves or how to edit them step by step. If you don’t have the time to watch the Video Tutorial, you can also check out the Parameter Automation chapter in the User Manual. This brand new video tutorial explains everything around the pattern based step sequencers in G-Stomper Studio and related apps. Learn how to use patterns and the different step sequencers, how to apply swing, use accents and velocity, how to use micro steps and step conditions, how to use the powerful auto-clone feature, and much more. If you don’t have the time to watch the Video Tutorial, you can also check out the Pattern-Sequencer chapter in the User Manual. This brand new video tutorial explains the Multi-Mute feature in G-Stomper Studio and related apps. If you don’t have the time to watch the Video Tutorial, you can also check out the Programmable Multi-Mute chapter in the User Manual. This brand new video tutorial explains Audio Exporting and Bouncing as well as the real-time Audio Session Recorder in G-Stomper Studio. If you don’t have the time to watch the Video Tutorial, you can also check out the Audio Export & Bouncing chapter in the User Manual. G-Stomper Studio, Rhythm and VA-Beast 5.7.3.5 arrived today! This new release comes with a new Spectrum Analyzer Module per track, and a new Spectrum Analyzer + Stereo Phase Scope (also known as Goniometer) in the master section. G-Stomper Studio 5.7.3.5 is now available on Google Play. This brand new video tutorial explains all around Pattern Set and Song Arrangement in G-Stomper Studio. If you don’t have the time to watch the Video Tutorial, you can also check out the Pattern Set & Song Arranger chapter in the User Manual. This brand new video tutorial explains all around the Mixer and Master section in G-Stomper Studio and related apps. If you don’t have the time to watch the Video Tutorial, you can also check out the Mixer & Master chapter in the User Manual. This free add-on is part of a big collection of Nord Synths from Lucid Samples. The pack provides 33 finest VA-Beast Synthesizer Presets, based on 11 multi sampled sounds of the great Nord Lead 3 Hardware Synthesizer. The sounds have been recorded using a method prepared for this recording exclusively to achieve warm sounds with full vitality. Each multi sampled sound comes with 2 additional variations, created in use of the VA-Beast modulation framework.